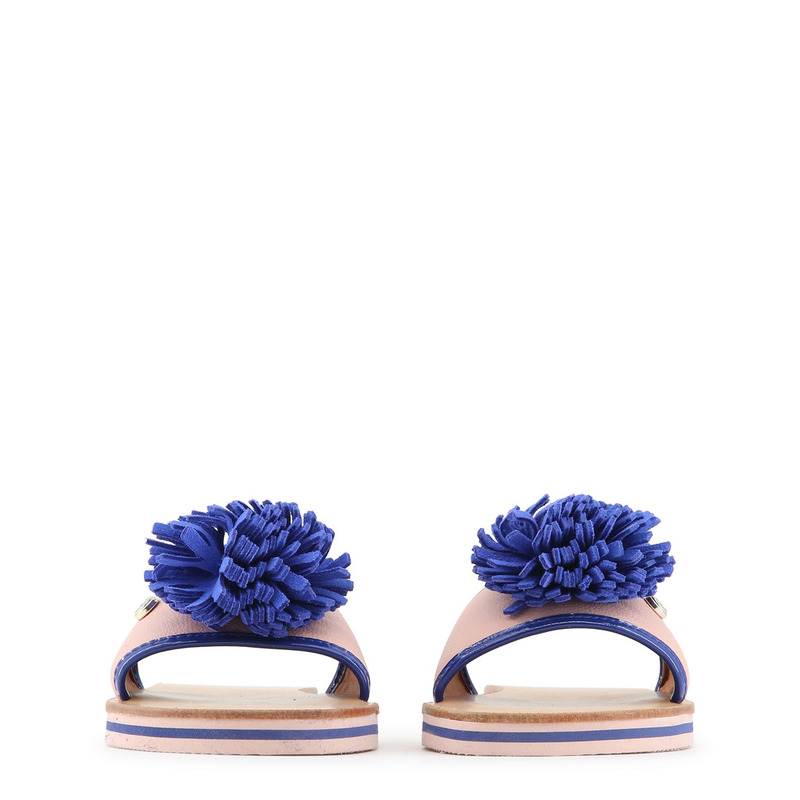 Machino Pink and Blue Flats go with everything, just because! Pair these with peddle-pusher jeans, white shorts and a tank top, or a long flowing maxi dress and they won’t know which thing to notice first! These Machino Pink and Blue Flats are the perfect get-around shoe that works for the office on a Friday, goes on vacation as they’re just a slide off the heel and up into that airport bin and back on again. 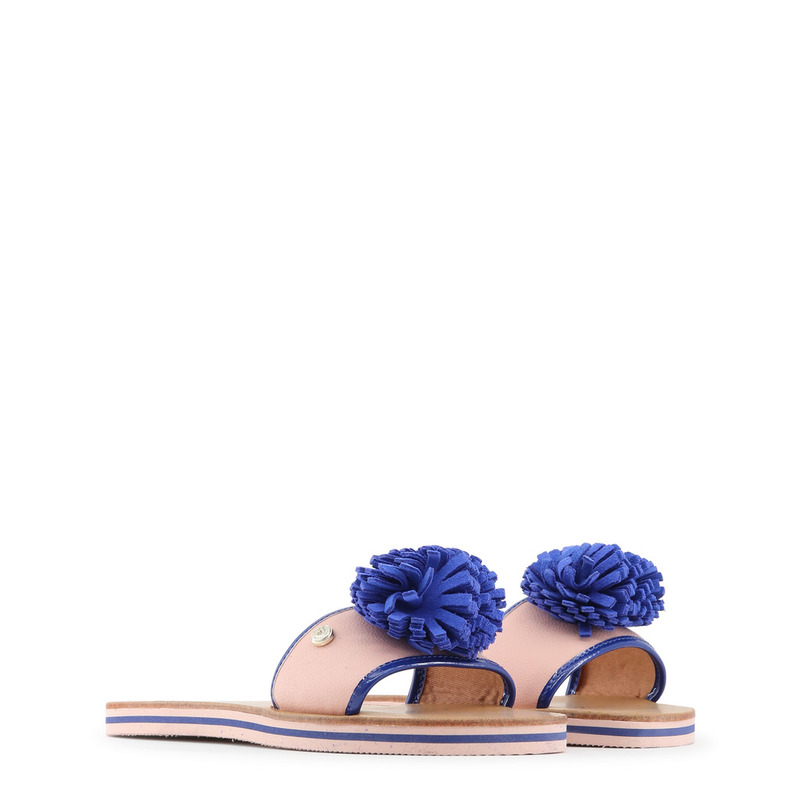 These pretty little slides have a leather and rubber sole that will last. 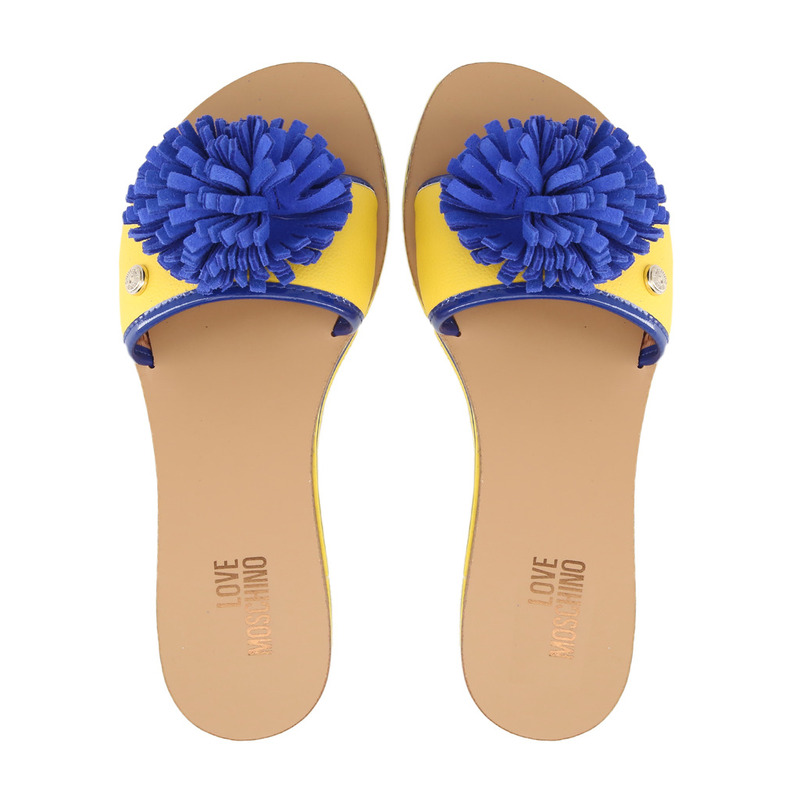 The purple pom poms are simple and fun, just like summer! Perfect for those New York and Chicago streets! 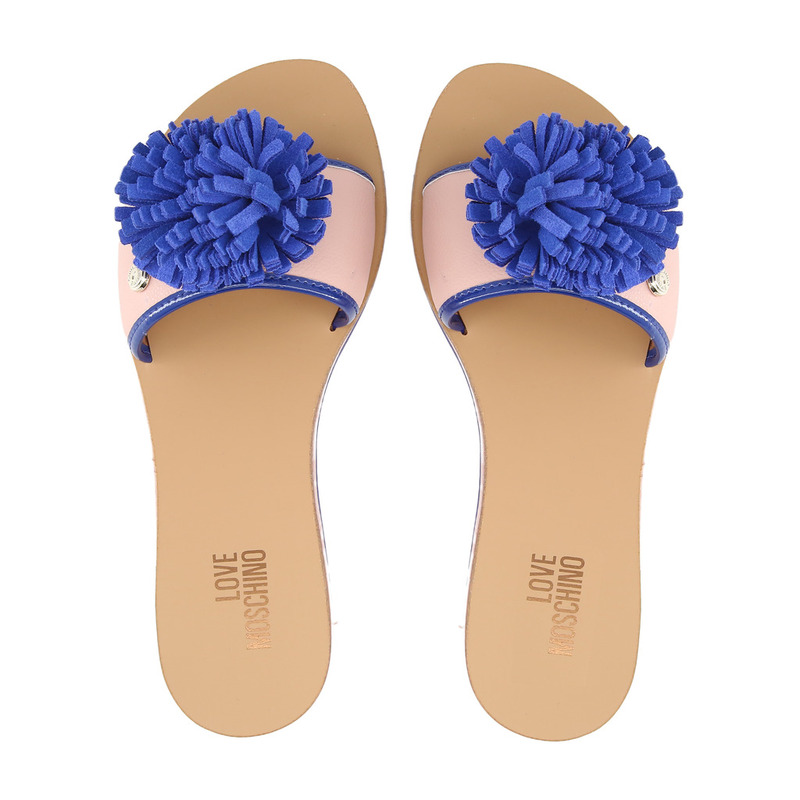 Walk, walk, walk in your Moschino Pink and Blue Flats! Comes in yellow too! Imported.